Great Britain’s Practical Classics magazine recently asked its readers which classic car they would buy if they had 4,000 pounds, or about $8,000 to spend. The winner: The Triumph Dolomite Sprint. Most American Triumph enthusiasts have only ever seen the Dolomite Sprint in Triumph history books and the occasional magazine article. The car was never sold in the United States or Canada. But here, as in Great Britain, the stylish high-performance compact sedan is winning an enthusiastic following and is well on its way to becoming a classic. There are now at least a dozen privately imported Dolomite Sprints on the road in the United States, and the number is growing every year. The rear-wheel drive Dolomite Sprint, produced from January 1973 to August 1980, was the top model in a range of cars that had a long and rather unusual production history. The Sprint can trace its beginnings to the front-wheel drive Triumph 1300 of 1965. The front-wheel drive Triumph sedans were designed to compete with the Austin Mini. This was before Triumph and Austin became sister companies as part of British Leyland in 1968. The Triumph 1300 was styled by Triumph’s Italian design consultant, Giovanni Michelotti. Though the car and its derivatives sold well — more than 200,000 were built from 1965 to 1973 — the front-wheel drive cars were expensive to produce and difficult to service. In what may be the first and only example of this, Triumph engineers in 1970 devised a new floorpan for the 1300 which switched the car to rear-wheel drive. The first rear-wheel drive versions were named Toledo and were offered with 1300cc and 1500cc engines. Unlike most other Triumphs of the day, the rear-wheel drive Toledos and Dolomites did not have independent rear suspension. Instead there was a live axle attached to the body with upper radius and lower trailing arms. In January 1972, the first version of this car with the Dolomite name appeared. It was the engine, an 1,850cc overhead-cam slant four, that made this car different from its lower cost stable mates. The 1,850cc engine was a precursor to the 2.0-liter engine coming for the TR7 and it was very closely related to the slant four Triumph was selling to Saab for use in the Swedish company’s 99 model. The Dolomite 1850 was rated at 91 horsepower and used the same basic gearbox as the Triumph Spitfire. It also had Triumph’s light-duty rear axle. The most exciting version of the Dolomite, the Sprint, was born in January 1973. If the lesser Dolomites were undistinguished by their technical specifications, the Sprint more than made up for it. Practical Classics sums up the Sprint way: “This was the template for the compact executive sporting saloon.” Indeed it was. The special engine is the very first 16-valve four-cylinder to make regular volume production. Other automakers offered 16-valve engines before but only in kit form or on a very-low volume, special order basis. The Dolomite Sprint may be the one Triumph that was over-engineered. The transmission is the same one used in the TR6, Stag and 2500, and the live, heavy duty rear axle is also derived from the TR6. The engine is a 2.0-liter rated at 127-horsepower. But, with a little special tuning is easily capable of 150. The Sprint had a distinguished career as a rally car. The interior of all Dolomites is traditional Triumph, with a walnut veneer dash, TR6 type gauges and wood trim on the doors. The Sprint was nothing less than a sensation during its early years and it drew favorable comparisons to various BMWs and Alfas of the day. By British standards, the Sprint was lavishly equipped. It came with factory alloy wheels, a front spoiler, rear defroster, a steering column adjustable for rake and height and other features. The Dolomite did not change much. Later models got a revised dual circuit braking system and a few minor detail updates, but that’s about it. Options were few. A Borg-Warner automatic transmission was available in the Sprint, 1850, and 1500 models. But the vast majority of Dolomites came with four-speed manual transmission. Except for very early cars, overdrive was standard on the Sprint. A dealer-fitted Britax or Webasto folding sunroof was also a popular accessory. With about 79,000 built, the Dolomite 1850 was by far the most popular model. Sprint production was 22,941. 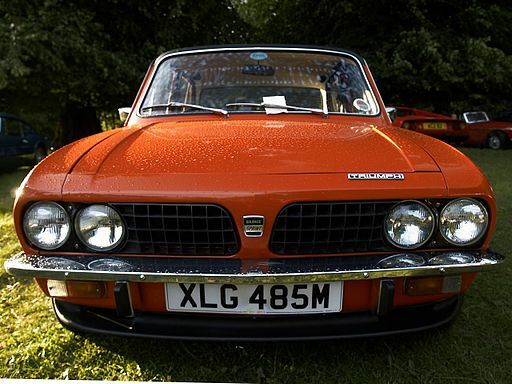 In total, Triumph built more than 420,000 rear-wheel drive Toledos and Dolomites. But it is the Sprint that is the one most Triumph fans lust after. And it’s the one that is being brought to America more than any other. The Sprint is one of those rare cars that just does everything well. In stock form, it will make the 0-to -60 mph run in under 9 seconds, deliver a top speed of 115 mph and still return about 30 mpg. The seats are comfortable and the interior is luxurious by 1970s economy car standards. Visibility is excellent and rear seat and trunk space is nothing short of superb for a car its size. As with most other cars of the 1970s, rust is the achilles heel of the Dolomite range. Being a unibody car, rust repairs require cutting and welding, which can be very expensive. Almost all surviving Dolomites either have rust or have had rust repairs. The brakes and cooling system are two other areas that are frequently uprated in the Sprint. The parts situation is generally good. Virtually all mechanical parts are available through Rimmer Brothers or the Triumph Dolomite Club. Many, but not all trim and electrical parts are also readily available. You won’t, for instance, find new or reproduction original seat upholstery or door panels. But you can get virtually all rubber weatherstripping, bumpers, and external badging and trim. There is aftermarket carpet available as well as most body panels. For Americans, the parts situation for the Dolomites is not as bad as it would be for other cars never sold here. It is, in fact, pretty easy to run one. The Sprint uses many TR6, TR7 and a few Stag parts. It’s possible, for instance, to carry out routine maintenance, such as tune-ups, oil changes and other minor repairs, without having to order parts from Great Britain. If you can work on a TR7 engine, you can work on a Sprint engine. The technology is the same, just the details differ. Finally, any Dolomite built can now be legally imported to the USA with no federal safety or emissions restrictions. Cars 25 years old or more are exempt from emissions and safety standards. Triumph did build left-hand drive versions of the Dolomite, but they are extremely rare. The vast majority of all Dolomites were sold in Great Britain.